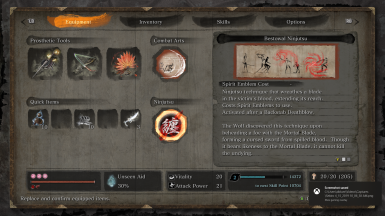 Removes spirit emblem cost from all prosthetics, combat arts, spiritfalls, and ninjutsus -- go nuts. 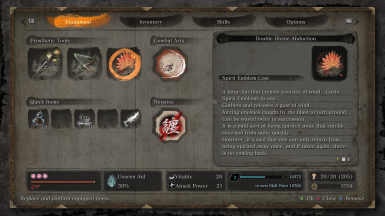 Can now remove cost from all combat arts while leaving prosthetic/spiritfall/ninjutsu cost alone. 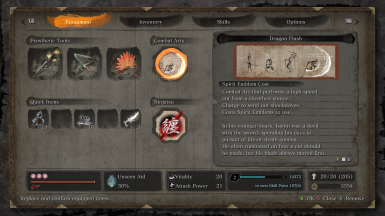 Install Sekiro Mod Engine, then copy the param folder from this mod into your mods directory. EquipParamWeapon or EquipParamGoods sections of gameparam.parambnd.